Question – What do you do when you can’t quite find the time to blog? You know you should be doing it at least 3 times a week, but before you know it, weeks have passed and you haven’t blogged. You need a way to write quick blog posts. Answer – You pull out the old “10 Minute Blog Posting” system that I am so proud to have created! After witnessing so many frustrated would-be blog writers, I came up with a great way for busy people to blog quickly! Before we can start, we have to take care of a little background work first. You have to know the theme of your blog. 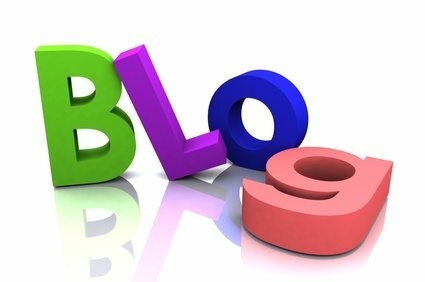 Do you write a blog about business, family, parenting, weddings, dancing? Once you know your theme you have to know your keywords. You probably already know this, but if you don’t stop right now and do some research to determine 3 to 5 main keywords you will use for your blogging. Go to YouTube or Vimeo and find a video that is interesting and has your keyword in the title. Tip: Create a YouTube playlist to save the videos you find that would be great for your audience. Then when you need a quick video for a blog post you can just go to the playlist to find quick content. Now that you have your video you….. oh wait that is in Part II which will be coming next week. Want to brainstorm how to use the 10 minute blog posting system on your blog? Click here to speak with a Decisive Minds Certified Master Coach about your blogging strategy. This call is complimentary (our gift to you for being a loyal blog reader)! Ezine is an excellent source for blog post inspiration. Doing a search there has given me lots of ideas for articles. Sometimes I read something and think, there’s a different way to say that, and other times I read one sentence and it sends me off on a tangent. Either way I get a post. The 30-day blogging challenge is the perfect time to introduce your system to everyone. After all, we’re about to reach the halfway mark but there’s still a lot of blogging to do! Anxiously awaiting part 2 — be back later! Great tips. Have not used ezine articles and will definitely consider using their articles for my blog. You Tube has so many video to upload onto one’s blog especially if one does not want to make personal videos. Great topic. I have yet to write a blog post in 10 minutes. I have plenty of material. It is efficent writing of that matterial I am looking forward to developing. Looking forward to your next post. Just checked out this post – great info. I’d been curating content when I’m short on time, but hadn’t thought to do it with videos.